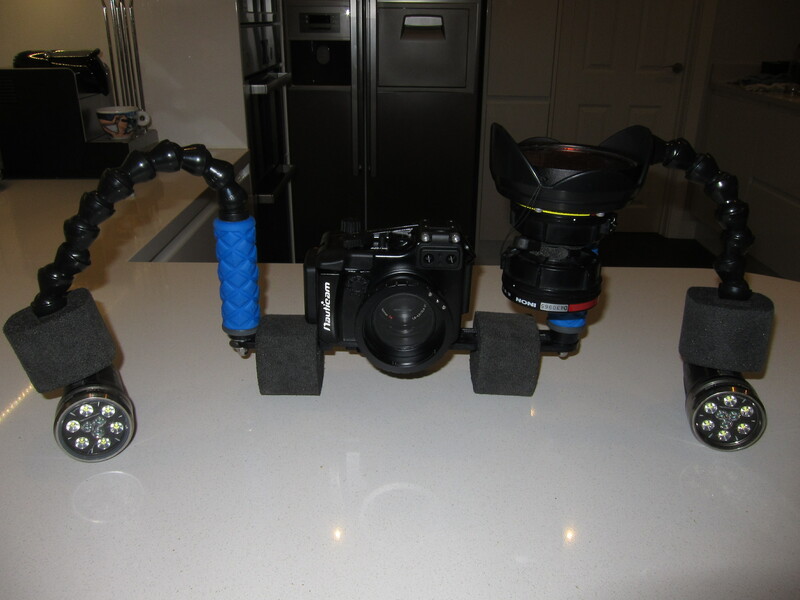 This is my current set up built upon the Sony RX100 Mark II in Nauticam housing. I believe this is the best overall all purpose compact underwater video rig. I have been fine tuning carefully all components and I believe I have now no more optimization possible, however there is always a new gadget coming so who knows! What modifications would you make for still photography (obviously replace the lights with strobes, but apart from that)? Hi, I have a question about auto-focus. I have the Sony RX100 Mark II and I’ve been following your results. Your work is superb and much appreciated. I too find the color and results to be the best I’ve ever had and I used to shoot a Sony 1000 DV video. But the one thing I can’t seem to get working well is the auto-focus. It seems to be very slow to react and when it’s good, it’s very good. But often it’s not. I’m shooting mostly Video. I have an Ikelite housing with both the V8 video light and vf35 strobe. I’ve shot in both Bonaire and Maui since I got the RX100 Mark II so the water has been pretty clear and I was filming squid and when they approached within about 2 feet, I lost the auto-focus for awhile. I didn’t move, not much I could do. Any suggestions? I was shooting in auto. You’ve commented that you like the auto-focus, but I’ve been having repeated problems. Interceptor. I have a new to me Rx100ii in a Nauticam Housing. I have noticed I am unable to get the autofocus to work after zooming. Any tips? I just review your photo rig and noticed you were not using the same lens as for video. Why do you use AD mount for still et LD mount for video? after i read your post about LD/AD and what Lense is the best choice for the RX100 Setup, i have decided to buy the Inon UWL-H10028LD lens for my RX100 Setup. Fisheye sells on their Homepage (http://www.fisheye-jp.com/english/products/lens/fe_adapterringpro/index.html) the Adapter you use but there are just ADM/LDM-M52/M67 adapters? Is there any difference between the Adapters and the Adapter that you use the LDF? And the other questions is, i use this setup for Video and Photo, i have read that the UWL-H100 have small Vignetting in Photo Mode in wide angle. Is the Vignetting just with optional Dome or also without the dome? I do not use the Inon dome whether in video or photo. LD adapter you need the LDM-M67 Pro version the others are not compatible. The UWL-H100 without dome has no vignetting in water and has just a small vignetting in air in photo mode. It has no vignette in air nor water in video mode. Why do you use the version LDF instead of the “new” LDM What are the difference? Or the ADM(F) in M52. I think it is actually LDF it is a type error. I can ask Uwvisions if he has any on stock. I am aware fix may stop producing them since they have been taken over by nauticam. Maybe also aquafoto team in Germany? at uwvision i found the LDF Version! It would be great if you can ask them if there is a LDF in stock! UW-Fotopartner is just a few km away from me, i buy normally my equipment there! They are Nauticam sellers! Did you think they have the Fix Adapter? I think the only have the Nauticam original! I will write them an email and ask for the Fisheye Adapter! If you have any Infos about uwvision let me know! If i do not use the lens hood everything is perfect and nothing more to do as to put the UWL-H100 in the Nauticam Adapter and go for it, but if i use the lens hood i have some problems with the alignment of the hood? You tell us in your Blog that there is an alignment issue with the adapters if you use the hood. Have I understood this correctly that if i have this problem with my housing i have just to unscrew the 6 screws of the Adapter and change the position so that the thumb screw is on top of the port and the release lock is on the left side (when i look from behind of the housing) and then fix it again with the 6 screws? 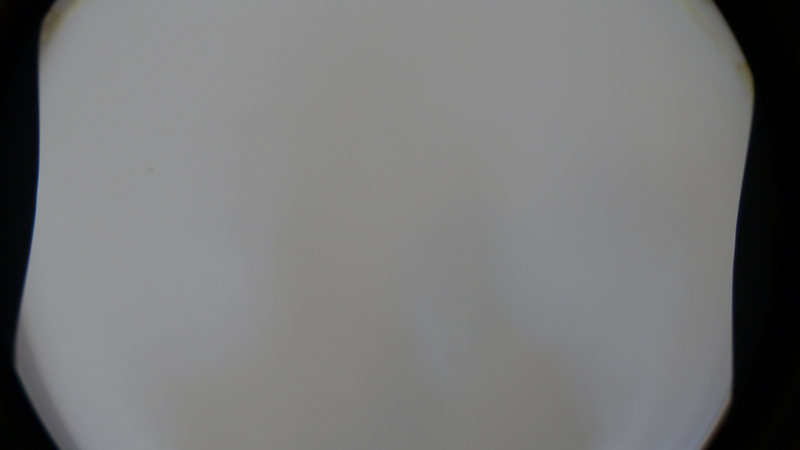 i can see the hood in this picture, is this just to show the problem with the alignment or did i see the hood on the pictures/videos at 28mm? The Deeproof filter can i buy only by uwvision right? It is a pity that UR / Pro not offers a red filter for UWL-H100. UW-Fotopartner sells “H20-Tools” redfilter for the UWL-H100. Maybe this is the same Filter like the Deeproof filter under a other name? Because i think there are not many manufacturers they produce the filter for the UWL-H100. In Germany they want 79€ if i buy it from divervision the filter it self will be a bit cheaper but with tax/customs it is more or less the same price. But i want also a good quality for the filter and “H20-Tools” i did not hear before. 😉 Sounds great, then now really everything is perfect. I just ordered a RX100 II and have never taken video before. Forgive me for the stupid question about your rig regarding the Inon UCL-165LD and Inon UCL-165M67. Aren’t these the same lens but one bayonet mount and the other screw on? Why one of each, does one have a filter semi-permanently installed? If you weren’t using bayonet mounts would the Wide-angle lens UWL-H100 28M67 be something you would use? Hi, do you mean that the UWL-H100M67 can be changed to UWL-H100LD? What is that service part? Hi Interceptor, I just wanna ask if you ever consider adding something that work like a tripod under the camera tray? I have seen some camera rig with tripods, looks very helpful while taking a steady and smooth macro footage underwater. I am looking at the ulcs tripod system. but not sure if it will work to fit under the nauticam twin handle easytray. appreciate your thoughts on this. I have Ikelite’s W20 wide angle lens. It has M67 thread wich is fine for my Nauticam housing. I use LocLine arms. My question is, does the ULCS BA-FBd would be sturdy enough to hold the lens attached to an Inon Single LD lens caddy? Do I better buy the double LD lens caddy if I plan to buy Inon UCL-165LD in the future? I have a mess with the adapters you need on the housing and on the lens to transform it to bayonet mount in order to take it off without loosing the lens: LDM-M67 or is it LDF or what, and also, where can I buy it in Europe. One last thing, I’ve seen the i-Das 67 mm flip adapter, but I read that you get blurred images using it. I don’t think it could hold the W20 because it is a heavy lens. What do you think? On that topic, can the UHL-04 or a subsee diopter be converted to a bayonet-style mount? Would be much more convenient than threading the 67mm UW. I’m afraid one day i’ll just drop the whole lens and bye-bye it goes. Thanks. I didn’t know it. So if I want to take W20 off to take some pictures what do you recomend, get it covered by some neoprene cover and put it inside the pocket, or try to screw it to a threaded lens caddy using the ULCS BA-FBd? If possible even higher magnification combinations of the above lenses, closer to +20. I have a Nauticam Easytray with an M8 thread so i need to drill the 1/4″ hole from the BA-FBd to an 8mm hole for my screws… Is there enough material for an 8mm hole? I noticed that your photo rig has been modified from using STIX for buoyancy to using INON float segments. Have you also updated your video rig as well? If so, how were you able to add them and still use the Locline segments for the SOLA lights? How realistic is it to have an rx100 system that doesn’t require committing to photo vs video before the dive? How would such a system look? Thanks for the reply. I’m trying to narrow down on a system to get, and am heavily leaning towards a video one rather than a photo rig at this point, because I’m thinking this will alter the behavior of my dives less. I’m currently on the fence between a gopro or a compact setup. I’ve come across a few posts by you from a few years ago where you heavily recommend compact over gopro for this. Have your views changed at all due to current options? Also If i do go compact I’m leaning towards an rx100 ii, mostly using your rig as a guide. Is this still fine in 2017 or would you recommend differently? I mostly value ease of use, ease of travel, ease of maintenance, and quality of footage. Obviously there are trade offs between these, just trying to strike the best balance. Thanks! Is getting good quality video more difficult on an rx100 than on a smaller sensor camera like an s95? Also would you say video is easier than stills in general for a newbie to underwater photography/videography? Do you find the macro lenses to be of much use in this rig without your monopod? Interceptor, great blog and information. Would you have suggestions for autofocus settings when shooting in a cave with large video lights. No zooming, no macro, just passage footage with divers out front. I am using a Nauticam Housing with UWL-100 wide angle lens. With older setups I would shoot in manual and infinity focus setting. My first few attempts I had the lighting figured out and the center area was in focus but if panning to the left or right the footage would blur. You suggest photo program mode and auto white balance with video lights and wide angle? Autofocus center or manual?